Being financially healthy is never a bad thing, but many people have trouble making and saving enough money to live comfortably. 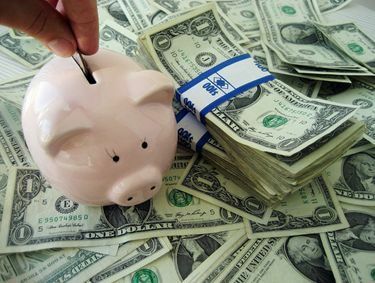 According to a Bankrate.com survey, only 16 percent of Americans save more than 15 percent of their incomes, which is the amount financial experts generally recommend. If you are not one of them, you should make a conscious effort to boost your savings. 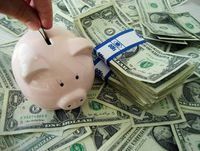 Check out these four ways to make and save money. If you have a hobby, you can use it to make some extra money. In today's connected world, everybody has a shot at capturing the attention of the masses. Promote your hobby on your website or social media platforms and try to convince people that they need your product or service. If you enjoy shopping, consider signing up with a mystery shopping company, which pays you to complete a transaction and rate the customer experience. Alternatively, you can earn money by writing reviews about stores and products. If you like collecting things, you can sell your collectibles at higher prices through a variety of channels, such as online communities, pawn shops, junk and antique stores, Craigslist, and eBay. Day trading gives you the opportunity to increase your income considerably in a short time, while having the freedom to work remotely. It involves trading securities within a single business day and taking advantage of small price fluctuations to make profits. Although it requires a substantial amount of capital, it can be a highly lucrative venture if it is properly executed. To become a successful day trader, you have to spend a lot of time learning about the stock market, economic conditions and trends, and the companies you wish to invest in. With the right day trading strategies, you can turn this investment activity into a steady source of income. One of the main reasons people overspend is because they fail to set a savings goal. Make a point to set aside a portion of your income in your savings account every month. This can be easily done by automating monthly transfers from your checking account into your savings account. Alternatively, you can set up a direct deposit to automatically transfer a percentage of your paycheck into your savings account. Many people do not keep tabs on their grocery bills, and they will be shocked when they find out how much they are actually spending. You can reduce your grocery spending by planning your meals every week and taking inventory of your kitchen before heading to the grocery store. This will help you prevent food waste and overspending. Also, consider cutting back on junk food and snacks that can cause you to exceed your budget. There are many other effective ways to increase your income and savings. Regardless of which method you use, you need to have the discipline and commitment to stick to your plan in order to see the desired results.